Up Your Home’s Resale Value By Upping Your Interiors! Real estate is undoubtedly an investment that can yield high returns. However, one also needs to upgrade the asset to ensure saleability. By making a few changes to certain aspects of your home, it is possible to improve the way it is perceived. You could either use various colours and textures, harness the transformative power of different types of lighting or provide smart and stylish storage options, to make your abode an example of comfort and aesthetics. If you are considering selling your home, the seven changes elaborated below will increase the resale value significantly, thereby increasing the returns on your investment. 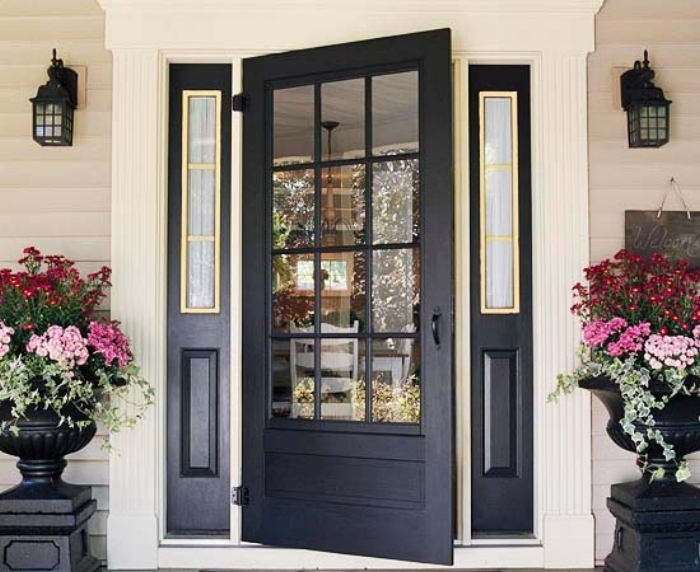 The external part of your home is the first sight that catches people’s eyes as they enter. It is imperative that this is clean and well maintained to project a warm, welcoming image. Even if this aspect is seemingly trivial, a potential buyer can be negatively impacted by a shabby entrance, causing him/her to reject a good deal. Ensuring that there are no cracks or leaks in the walls and that the paint is not peeling off is a basic necessity. Trash cans or trash bags should ideally not be in the vicinity at both the entrance of the building as well as the main door to your abode. Suitable lighting can make a huge difference to the way your home is perceived. It also has an impact on the occupant's moods. Bright lights from the wall can be used for reading, watching TV and in the kitchens. Softer lights fixed in the ceiling can be used in the living room and bedrooms. Implementing this effectively can save space, add elegance and reduce the electricity bill, thus making your property more saleable. Instead of having two sets of lights, you can use lights in which the brightness can be adjusted using dimmers. This way, the lights can be dimmed for a dinner party or a cosy night in and can be turned up for a study or work session. The placement of these lights on the ceiling needs to be strategized in such a manner that it is suitable for both purposes. Inviting walls are a crucial step to improving the image of your home, both for yourself as well as for potential buyers. It goes without saying that the necessary repairs need to be complete, cracks need to be plastered, and plug points should be in perfect working condition. Once this is done, there are quite a few styles to explore from brick-patterned ones to solid shades of paint, the latter being quite common. Bright coloured paint can be chosen for children’s rooms. Dark ones are more suitable for bedrooms. The living room can sport a neutral or light coloured paint or wallpaper to make it seem more spacious. Archways, pillars and passageways can sport intricate patterns to accentuate the beauty of your home. 4. Ready to floor them? While it is common knowledge that the flooring needs to be comfortable and easy to maintain, not many are aware that it can make or break the image of a home. If you are looking to sell your house, it is essential to pay attention to the flooring because a buyer would consider the huge effort involved in modifying the floors. It is a tedious task to change it compared to other aspects such as wallpaper or fixtures and therefore this would be an important factor that decides the sale. 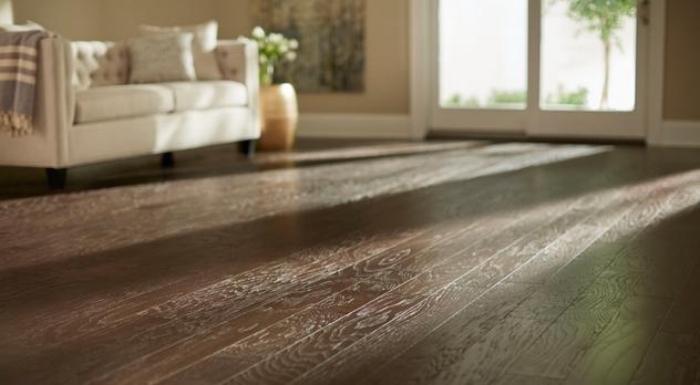 Flooring needs to be selected keeping in mind the walls and the purpose of each room. We recommend a mildly patterned tiling for the living area(s), least slippery and sensible flooring for the kitchen, service area and bathrooms, and flooring that complements the walls in other rooms. As space becomes more expensive day by day and with our material possessions on the rise, storage is becoming more and more significant when it comes to making our homes more livable and also for increasing the resale value. A home that is more accommodative is also more attractive to a person looking to purchase it. 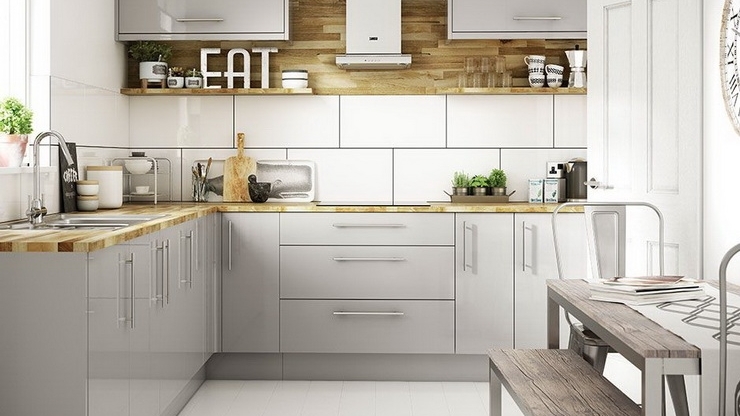 Closed lofts that are easily accessible, deep wardrobes for bulky items such as extra bedding, and secret compartments for storing valuables and documents add volumes to the comfort and utility value of your home. The surfaces of these can be covered with embellished wallpaper or paintings to make them look more attractive. One needn’t have an eye for detail to notice fixtures and fittings in the house, which impacts the perception of your home which in turn affects the resale value. From a buyer’s perspective, the right fixtures at the right places mean that they save time and effort involved in searching for suitable ones and finding people to fix them. This benefit can add a premium to the value of your home. Fixtures can either be in line with the colour theme of each room or can be in sharp contrast with the colour of the background in which it is fixed. Wooden fixtures in the living area and bedroom add a classy touch. Kitchen and bathroom fixtures need to be more utilitarian and sturdy. This part of your home has the most scope for vamping up in terms of interiors. Apart from the aspects that are discussed above such as the lighting, flooring and walls, one can experiment with countertops, drawers, electric/electronic items and the placement of their ancillary parts. If your countertop doesn’t have a glossy finish, upgrading it is a sure shot, instant way to make your home look better. Keeping storage space closed and adequately compartmentalized will increase the value of your home if you’re looking to sell it and will also help in reducing the mess in the kitchen. Colour coordination between the walls, floors and drawers will also help in increasing the visual appeal, and thus the value of your home. Being at utmost ease in your own house is important. Implementing even a few of the changes mentioned above will help you be a proud owner. These will also make your house seem more sophisticated if you are looking to sell it and people would be ready to pay more for an elegant home. Saying ‘Mi casa es tu casa’ will be far easier after spicing up your casa with these interior designing tips. For more tips and tricks to unlock the full sale value of your home, reach out to Hipcouch and see your resale value skyrocket. Note: All images used are for representational purposes only. We do not promote the use of any specific brand nor are we recommending any through this blog post. Older Post10 Restaurants With Tasty Interiors!